The Holocaust Center of Pittsburgh is proud to announce the launch of our book club! Our first book is Sydelle Pearl’s novel Wordwings. Wordwings is the fictional diary of a twelve-year-old girl in the Warsaw Ghetto. The tale of Rivke Rosenfeld is a well-researched history interwoven with folktales and fairy tales. At the event, Sydelle will discuss her book and autograph copies. Books will be available for purchase at the event (with cash or check only).The event is free and open to the public. 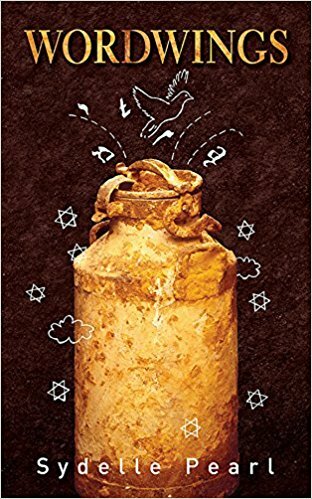 Book Synopsis: In 1941, twelve-year-old Rivke Rosenfeld lives in the Warsaw Ghetto where she witnesses German soldiers slashing her grandfather’s beard from his face. Her anger compels her to secretly write her stories and her memories in the margins of a book of fairytales by Hans Christian Andersen. When Dr. Emanuel Ringelblum, historian and founder of the Underground Archive–a written compilation of Jewish life experiences in the Ghetto–hears Rivke tell one of her stories, he is so impressed that he asks her to contribute her diary to this Archive and Rivke agrees, imagining her words rising up from the ground on wings.